As a person who is fond of animals–at one point in my life I even wanted to be a veterinarian–I have, in the past, made the common folly of underestimating them. People who love animals will frequently assume that all animals do all the live-long day is lie around being all cute– rousing themselves occasionally to perform super-awesome acts of beastliness–like jumping high or running fast or swimming real good. Humans are great at anthropomorphizing things. We’ll put a human face/emotions/intentions on ANYTHING! We’ll turn a choo-choo train into a beloved storybook character. How much easier is it to do that if the object of our fantasy actually HAS a face and a heartbeat? It’s understandable to think that animals are nothing but perfect, is all I’m saying. We see how flawed WE can be and think that simpler life forms are more pure/good. If you are an animal lover, you might think, for instance, that if you were to fall overboard in the ocean that there is a healthy chance that you would be saved by a friendly pod of dolphins– or that if you were stranded in the woods as an infant you might have been adopted and raised by a wolf pack–or that your pet snake is happy just eating those pre-dead mice you feed it and NOT hankering after your pet chihuahua. What lovely fantasies we conjure. Doesn't want to raise you...Only interested in you if you have snacks. But the truth of the matter is, like everything in the world, animals have the capacity to be dicks. I’ve known this heart-breaking truth for a while, I suppose. But I was just reminded of it when I was watching a documentary. I’m pretty sure it was a David Attenborough one. Life, I think (which, in The States–for some bizarre reason–was narrated by Oprah Winfrey instead of Attenborough). It detailed a bunch of killer whales chasing down a humpback whale and its calf. The killer whales chased them so long and so hard that they eventually wore the mighty humpbacks down and ate the baby whilst the mother could do nothing in defense. They ate only the tongue of the humpback calf and let the rest of its giant body slump to the sea floor where it would decay–a feast for the sea parasites. It was sort of terrible to witness. But the point is–maybe animals are more like people than we thought! They’re mean when they want to be, heartless, wasteful, and prone to gang violence. Snow Monkeys Are Terrible People! The website is a collection of ‘gifs’ (compressed video files? Tech nerds? A little help?) which illustrate real life examples of animals acting like jerks. Whether you’re in the market for a parrot pushing a turtle off a high ledge, a dog farting directly in another dog’s face, or a cat using a Roomba as a mobile attack vehicle, this is your one stop shop for animals being complete jagoffs. What a great idea for a web page. You just know there’s a treasure trove of these clips out there. I check in just about every day and there’s always a new entry up if not two…I’m just surprised nobody thought of it sooner. Animals have been dicks forever! Shithead the dog...falsely announced fires. A llama spit on me once. For real. What a d-bag. I wasn't even DOING anything. OK...this guy actually might have it coming. It just takes a leader…someone to organize this stuff for us really, doesn’t it. So, thanks go out, in this case to one John Williams. Here is his home page. Johnlovesyou.com Thanks for doing this, John! Your country needed you and you stepped up to the plate. 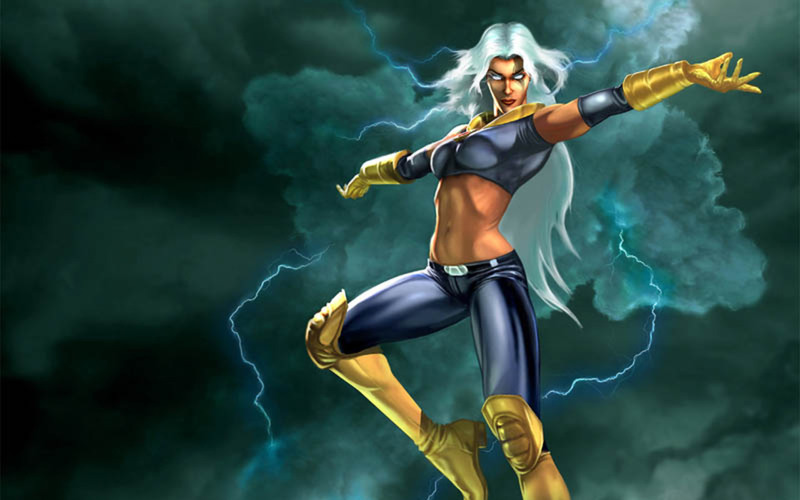 The Wind: I am STORM! MISTRESS OF THE ELEMENTS! AND I'M GOING TO EFF UP YOUR HAIRDO! The Wind! : I really do hate the wind sometimes. Unless you’re flying a kite or need an airborne seed swept away somewhere, what is it good for? It’s all in your face…making it harder to walk…blowing crap into your eyeballs and totally destroying that meticulous hairstyle you were trying to work. The Sea: Hey, I built this city for yo--oh crap. Thanks a lot, Poseidon! The Sea! : The ocean has swallowed so many of our fine towns and eaten so many of our boats and sailors. Yet that is never enough. It continues to erode our shores and thanks to global warming we will probably all be under it one day soon. I better learn how to use a fork as a comb, ala Little Mermaid. And Beyond! : Look at this...even intelligent life from the outer stretches of the universe disappoints. Yeah, thanks for the wang graffiti. Buncha interstellar jerkoffs. And Beyond! : You think you can escape earth’s gravitational pull (gravity is also a jerk) and find some utopia where there are no bellends? You are wrong. Real aliens don’t want to come down here and make our old people happy like the ones in Cocoon. No, they just want to do flybys and draw penises in our lawn.